Once again I’ve left wondering what the hell is going on at the HQ of Nintendo. First they roll out the Wii U and declare that they’re first out on the next-gen battleground (well technically they are) but then they come out with the Wii Mini. A Wii Mini, you may ask, what the heck is that? The Wii Mini is scale down version of the original Wii with a few differences; NO INTERNET Connectivity (No Netflix or Nintendo Shop access) nor can you play Nintendo Gamecube games on it. 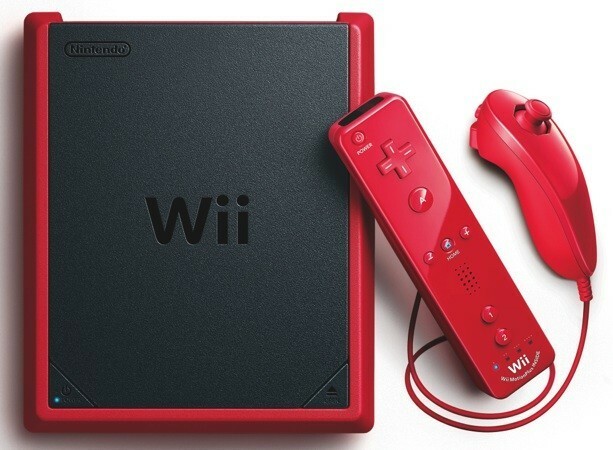 The Wii Mini will also only be available in Canada, no news if it will be releases anywhere else. Sorry, I don’t get it. Nintendo has already gone on record saying they will no longer create any more first party titles for the Wii so this is assuming that they expecting gamers to simply explore the backlog of existing Wii games and hope that their 3rd party titles continue to trickle down. The Nintendo Wii Mini is available for pre-order in Canada only for $99.99 at Bestbuy.ca. The question is do U want one? Wait, that’s not a Wii U…. What is this?